Cozy Chicks: To Show My Gratitude...Free books! To Show My Gratitude...Free books! 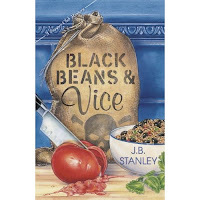 away two signed copies of Black Beans & Vice. All you have to do is name an author or book title that made you feel grateful for what you have. You know things like donuts, snow globes, pets, children, stars, spring rain, the smell of pumpkin, your parents). I'll go first. Anything written by Charles Dickens reminds me of how lucky we are to live in this country and that even when times are hard, we've got it better than most. Enjoy the food and the company and thanks again! Happy Thanksgiving! Ok, this isn't a very deep or thoughtful book, but Flowers in the Attic. No matter how hard my single mom had it, I knew she would never lock me and my brother in an attic and pretend we don't exist. I also knew that my grandparents loved us and were happy to have us around. Oh, and I so agree about Charles Dickens. Books where there is pain involving children (The Lovely Bones, The Memory Keepers daughter, etc.) always make me feel grateful for the fact that my daughter is safe and sound. Marley and Me....Made me feel so grateful to have found one of the biggest loves of my life at the local animal shelter. Reading the last chapters of the book was a reminder to me to spend time with and cherish the moments you have with those you love (both humans and pets). Authors like Stephen King, etc., that began writing in the late 70s, my preteen years. I'm always reminded that while my mom wasn't a big reader, she gave me an early start. I read Robert Heinlein when I was in 8th grade. Stranger in a Strange Land open my eyes to the world of science fiction. I was also a big reader fo romance and mysteries. That has not changed. I still devour books, several infact, on a weekly basis. Charlotte's Web always makes me thankful for my true friends. The book that comes to mind is "A Child Called It". I first read it in the late 90s. Every time I check it out to someone I feel the need to tell them how moving a book it is. My childhood may not have been perfect, but there were and are children that have it so much worse. When I think back on the book I am thankful that my mother was and is a great mom. I think the book "What Lisa Knew: The Truth behind the Steinberg case "by Josephine Johnson ,ade ,e realize how lucky I was to get the foster/adoptive parents that I had. I could have gotten someone like Steinberg and his commonlaw wife as foster parents. Mine would have to be Fahrenheit 451. I credit my Mother for my love of books. She taught me to read at about 3 or 4 and I have been reading ever since (though at 81, she still outreads me). I discovered Fahrenheit 451 when I was a young teen (mid 1960's). I was, after reading it, even more grateful for the priviledge of reading and owning books. My daughter has the same love of books and I couldn't be happier. Reading the In Death series by JD Robb (Nora Roberts) makes me grateful for my own childhood, and the boyfriend I "found" unexpectedly at age 39, who loves me very much (and vice versa of course). Though I still would like a Roarke of my own! Chicken Soup for the Cat Lover's Soul by Marty Becker and others, reminds me to be grateful for my four furry felines that I call my children that I adopted so they could have a better life and how they enrich my life. The Lord of the Flies made me grateful that I was home with my family and friends. To Kill A Mockingbird has always left me feeling thankful for the full freedom I enjoy and for my dad who was always there for me...I lost him at a young age to Alzheimers...the book makes me grateful for family and friends as well....the best!! Louisa May Alcott comes to mind. Her stories about sisters are a poignant reminder of how fragile life can be. Having lost a sister myself this year, this is especially meaningful. Also in Little Women the concern of children waiting for their father to come home from the war reminds me of what my grandchildren felt this past year as their father was in Iraq. I am thankful that he came home safe. Hmm. . .I'm going out on a limb. The Bible by God. I'm so thankful I didn't have to walk through that desert for 40 years. Death Be Not Proud by John Gunther opened my eyes to the tragedy of losing a child. My grandmother lost her first child at 18 mths. old. I was 14 when I read thiis book and it gave me an insight to what my grandma went through. She was 21 when her baby daughter died . . . Since then I have a had a daughter and have had a few friends lose a baby/child. Now I understand in anothernway this type of loss. A book that stands out for me was the children's book The Little Engine That Could. Makes me thankful for parents who gave me an early start at reading and appreciation of the fact that I CAN "do it" with faith, courage, and determination. I'm always thankful for free books. I tend to read such a specific genre of books (Cozy Mysteries). When I read these books by all of you guys I am reminded how lucky we are to have people who give up their time to write, even if the pay is not always that great. If I were to think of one set of books, The Love Sage, by Janette Oake is pretty good. I typically do not read cheese ball love stories, much less Christian fiction. These books always have a way to bring hope to someone who does not have it. The book that reminds me of all I am thankful for is A Town Like Alice (The Legacy) by Nevil Shute; war, hardship, courage and triumph. "Wish You Well" by Davids Baldacci. A beautiful and touching story of the depression era. I have read it several times and shared it as well. I grew up in a rural area, a lot of the neighbors were just 'getting electric' back in the early 1960's. I could relate to the story. Mr. Dunn, a teacher at our 2-room wchool, encouraged reading and curiosity. Even spending his own money to see that we had books and things to challenge us as students. I am thankful for all books. Growing up we didn't have much but books fed my soul and allowed me to go places and do things in my mind that otherwise I wouldn't have been able to do. Sara Paretsky's V.I. Warshaski Series because Sara started the ball rolling for the rest of our american cozy authors with this series and sister's in crime. I just finished Earlene Fowler's "Love Mercy" - she does such a good job of portraying strong people going through tough family situations. That made me grateful for the close, loving family I grew up in. The posts were all interesting reading. Thanks for the great contest and Happy Thanksgiving. It's hard for me to pick anyone book. My childhood was not as pleasant as I would have liked for it to be (not near as bad as some people who truly suffered), but what got me through it were books and my grandmother. She taught me about unconditional love and books gave me a way to escape. My mom figured out that books were a source of pleasure for me, so when she wanted to punish me she would ground me from reading unless it had to to do with school. Even as a 4th grader I was smart enough to figure out all I had to do was ask the teacher to assign me an extra credit book report. Books have always been a source of comfort. I started early on with mysteries. I was reading Agatha Christie in 5th grade. This last year has been challenging - a crazy Army move to MO for two months and then right back here (after someone else had been hired for my old job of course), then my father died (and since we weren't close there was lots of guilt). Lorna's Chapter and Hearse got me through that one. Then just last week I was diagnosed with breast cancer. But I just finished listening to Gale Forman's If I Stay - and I realize my battle is going to be so much easier than many others. I'm healthy (other than the cancer). In the last year I took off 80 pounds (and J.B.'s Supper Club Mysteries got me through that battle). I know this is long winded, but I wanted all the Cozy Chicks to know all the challenges you face as authors really have meaning for many readers world wide. You may never hear from some of them, but right now at this minute, I'm sure there are several readers curled up with a good book and are quite thankful for it. The Reader by bernhard schlink. It made me very grateful to be born in the time and place that I was; United States of American in the 60's. I made a shocking discovery that changed the way I think forever. We would all like to think that during the time of Nazi Germany we would all have done the right thing; stand up and speak out of such horrid attrocities being commited against humanity. It made me realize, that unless you are in that situation, you DONT know how you would act or react. If it came to your safety, the safety of your family...when it is the way of life all around you. Some may think me shameful for even suggesting that they or that I may have gone along. But Thank you Lord that we do not have to make that choice. I dont even think I put it into good words here. Any way, the book really made me think, and it made me grateful for the life I have here inthe USA, even during these times of struggle. Most books I read cause me to be thankful for something, whether it be my friends, family, my lot in life. There is always someone who doesn't have something that you take for granted. Books make me think about that and appreciate what I have that the character does not. But then other times, a book shows something...like sister love...that I do have and don't appreciate enough. Thank you to every book I read! Laura Ingalls Wilder. For her books that I read at an early age ( I am 66) brought me to the love of reading! Thirty years ago, I could not get enough of Sir Arthur Conan Doyle and Sherlock Holmes. Those stories introduced me to mysteries and I have loved them ever since. Now, I read an average of 3 mysteries a week. Holmes opened the door and I cannot get enough of a good mystery! "Foxe's Book of Martyrs" Extremely hard to read, but made myself do it. Makes me Very Thankful to live in this country where we can be thankful without fear of persecution. We can live in abundance enough to be able to give to those who have very close to nothing to be thankful for. Think of them this day. That's hard to pick. I guess I would pick Maggie Sefton's Knit One, Kill Two. Seriously. Sometimes you don't really appreciate people or things, until you lose them. The Nero Wolf mysteries - I know it s a little odd, but my cousin lent them to me, and it intorduced me to the mysteries genre, for which I am greatful, I now run "The Christie Capers" a cozy mysterie group in Windsor Locks CT - and just for your info - we did get permission to use the name for our group from a Great Author! The Hobbit by Tolkien. This book reminds me to be thankful that even the common person has some magic and heroism inside that helps make the world a better place. Frosty the Snowman. Yep, really. :-) It brings the most wonderful feelings to mind--of being loved, my first experience with being read to, happy Christmas time . . . my parents when they were young and strong, how I first felt the magic of books . . . I am so grateful for all of these feelings/experiences, and that I get to be thankful all over again whenever I see Frosty! I am thankful for libraries for providing so many wonderful books! Anne Perry's Thomas Pitt mysteries make me thankful for the country that I live in today. We really do have so many advantages here and it's good to think about them once in a while just to remind ourselves that life is good. Any of the books by Sue Ann Jaffarian that prove that a large woman can be smart, funny, fall in love, and not have to put up with rotten comments from ignorant people who think that "fat" equals stupid. Diane Mott Davidson's Goldy Shultz series. I am just so glad I don't have to deal with an obnoxious ex-husband! I am thankful for so many books--they offer me education, entertainment, and escape. The first one I remember is "The Secret Garden," by... hmmm, the old brain isn't working so good (Frances Hodsgen?). Anyhow it was the only book in my 2nd grade classroom that I had not read, but it had an old broken black cover on it. It was so ugly I didn't think it would be any good, but it was the only book left, and I was desperate (I have always loved to read!). So, I read it, and I was so enthralled, so enchanted, and I will never ever forget the joy I felt. It taught me the lesson to not judge a book by its cover, a lesson that has related to so much of life. I remember reading Shakespeare & other classics and thinking that even though some of the stories seemed so romantic, I was very glad to be a modern gal, and not to have lived in those bad olde days of yore! On the Beach by Neville Shute. The story of Australians waiting for radioactive fallout to reach them makes me thankful that nuclear weapons have not been used in my lifetime. Anything by Dr. Suess as his books helped to teach me to read. Another favorite is the Yada Yada sister books that reminded the importance of 'girl friends'. These comments have been a gift! I have laughed and sighed and got misty-eyed. You just prove over and over that people are fascinating and everyone has a story to tell. I'd have to go with Dr. Seuss for helping to teach me to read, and Laura Ingalls Wilder for making me stick with it. There are way too many authors who write incredible stories now for me to be thankful for just one. So I'm thankful that I have the ability to read and enjoy the books. I'm thankful for all the alternate realities that books provide but a favorite nonfiction book is Woodswoman - a book that leaves me thankful that I live so close to nature but at the same time I haven't given up things like central heating and WiFi. I am thankful for Nancy Drew--she hooked me on mysteries at an early age and now my 8 year old is reading them. I am thankful that we get to share something as wonderful as a favorite character! I am thankful to so many authors, past and present who gift me every day with the joy of reading. I've been contemplating all day (OK, I slept through most of it as I work nights) on what author or book makes me feel thankful for what I have and I finally decided on the works of Edward Eager who reminds me that magic can be found in the everyday world. I would have to say it's not just one book-it's the fact we are free to buy or borrow and read anything we want. And that even the poorest of our poor are well off compared to many peoples around the world. Books have shown me so many places and peoples that I would not have ever known if not for the freedom to sit crosslegged on the floor of the library as even a very young child. And I totally agree with Lori on The Reader. Very moving and thought provoking. Also with the person who mentioned the Bible. How lucky we are to be able to own and read the Bible at will. "The Christmas Box" by Richard Paul Evans, the thought that spending time with the people that you love, being there for your children is more important than where you live or what you own. Three years ago today I was on life support & they were unsure if I would ever recover. Thankfully I discovered cozy mysteries just prior to going in for my first surgery. Reading many different series allows me to be able to escape & cope with the long journey I've been through. Thank you to all of the wonderful authors. You truly have touched my life in many ways. There are so many titles out there that it is hard to choose. I really liked Firefly Lane by Kristin Hannah. It truly made me reflect on how much my childhood best friend matters to me. I am thankful for her nonjudgmental comments everyday. love reading..always go back to Jane Austin..thank you for the giveaway.. The Secret Garden by Frances Hodgson Burnett is my choice. Published 99 years ago, it was my mom's favorite growing up, and when I was a child it's the first book I remember her reading to me. Its message still rings true today about the power of positive thinking. I sure can see how important books are in so many ways. There is no one book for me, but in 2009, I went to the Pierpont Morgan Museum and on display was the original draft of A Christmas Carol. It was open so you could only see 2 pages and of course protected by a glass case, but I think I stood and stared at that book for more than an hour. His strikethroughs, his word changes, his editorial notes, his fine script--I was mesmerized. I never thought I would get to see the original copy of one of my favorite stories of all time. To be in the presence of a great writer made me feel small and proud and happy and awestruck. For that hour, I was a child again, discovering a treasure. I will never forget. This has been a wonderful post. I've enjoyed reading about the things everyone is thankful for - and it has reminded me of some of my favorite books. I've even added a few to my to be read list. 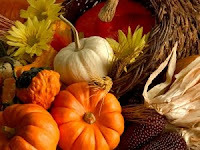 Thanks for a wonderful Thanksgiving post. I started a tradition of giving my children, and now my granddaughter a book each year for Christmas. Inside I write a one page synopsis of their life that year. Some years, it has been about loss and getting through a difficult time. Other years, it's been about triumph, like the year I gave my daughter "The Nutcracker" when she was cast in the ballet at eight. My son is 31 now, and my daughter is 27 and they each have a book shelf full of individual hand written memories from "mom" as well as a good read. My Granddaughter is only 5 but her shelf is growing. This year her book is going to be "The Tear Thief". It's a book she and I read and loved, on one of our many trips to the library. So I am grateful to be able to share not just books, but the love of books and family this holiday season. and Cadabers, Fit to Die, etc why? lose weight. Means a lot. Baking Cakes in Kigali by Gaile Parkin. Like you this makes me thankful to have been born in America. Great inspiration is shown the singular value of each human life through the power of love and friendship. Very powerful. Thanks for the give-away opportunity. Anything by Christopher Moore because he reminds me how important it is to keep a sense of humor. His books have helped me to laugh even when I have been in the worst of situations. One of them helped me through my time living in a battered womens shelter. I am thankful that there are people out there like Mr. Moore who bring laughter to the world and share it with others. It is my ultimate goal in life to become one of those people. If I'd seen this yesterday, I think I would have had a hard time deciding. However, today I can firmly pick author Rick Riordan (author of The Lightning Thief and other such awesome books) and author Betty Smith (A Tree Grows in Brooklyn) because today they helped remind me how grateful I am to have my loving boyfriend in my life. Three of their works (1 of Smith's, 2 of Riordan's) occupied part of the bottom shelf of my bookcase this morning. Around 7:45 am, my dog Loki decided that attention was not being paid to his needs and started to pee on my bookcase, ruining these three books in the process. You can imagine, I was quite enraged. It wasn't that he peed inside that upset me; it was the fact that he ruined books, works that I genuinely enjoy time after time. My boyfriend, fantastic soul that he is, not only cleaned up the mess, but took me to BaM and bought new copies of the ruined books. I am so grateful to have someone who not only loves me, but truly understands how important books are to me. I'm grateful for all the good mysteries by SinC memberss that I read this year--I not only enjoyed but learned from each one. Hard to pick one author, so I'll settle for two--Susan Schreyer's Death by a Dark Horse and Kaye George's Pathwork of Stories--because they opened my eyess to the potential of self-publishing in this new world. Anything by Jane Austen. The contrast between being grateful I live now and learning so much about human nature makes me read them over and over. Les Miserable by Victor Hugo made me grateful for the country I lived in and all the freedoms we had. How to choose, how to choose?? "The Enchanted Barn" and "The Honor Girl", both by Grace Livingston Hill. Love makes wonderful things happen!